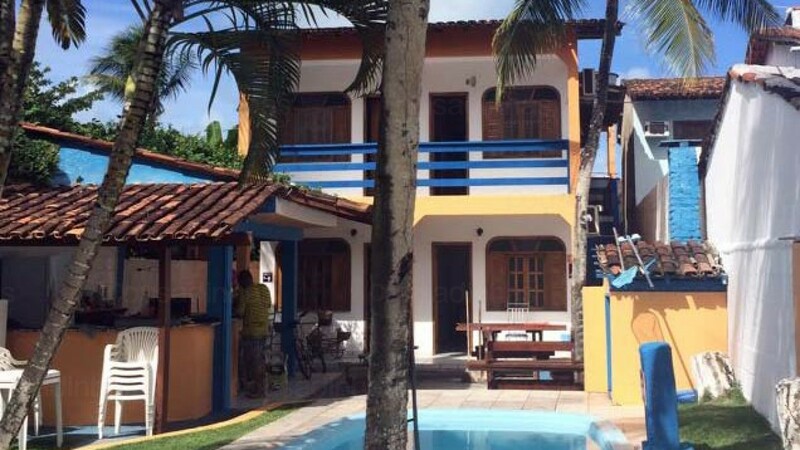 The Beach Hostel and guesthouse is located in Arraial d'ajuda-Bahia-the 60 metres from the famous Rua Mucugê, 700 metres from Mucugê Beach and 1.5 Km from the beach of Pitanga. The pet-friendly Inn offers free parking, outdoor pool, bar, Garden, reading room, BBQ, microwave, wireless Internet and a delicious breakfast. This suite accommodates up to 4 people, with one double bed and two single beds or a double bed and a bunk bed. Offers refrigerator, balcony, air conditioning, ceiling fan, LCD TV and WiFi.